Budget 2016: Government mulling to sell stakes in General Insurance as part of disinvestment plan - Corporate Risks India Insurance Brokers Pvt. Ltd.
NEW DELHI: The government is working on an ambitious disinvestment agenda for the next fiscal year, and proposals it is considering include selling stakes in state-owned general insurers. As a first step, government has decided to convert the country’s only reinsurer, General Insurance Corporation of India, into a public limited company. The Insurance Amendment Act allows bringing down the government stake to 51% in state-owned general insurers. If any firm wants to get listed, we will support them and any such issue will depend on market conditions,” said a finance ministry official, speaking on the condition of anonymity. The government has allowed up to 49% foreign direct investment in insurance and, according to market estimates, around Rs 10,000 crore is expected to flow into the sector through such investments. According to the Insurance Regulatory and Development Authority of India, total foreign direct investment in the insurance sector as on March 31, 2015, was about Rs 8,031 crore. “Insurance and market regulators are on the same page on listing norms for insurance firms. We are hopeful some firms will take lead,” the finance ministry official said. The net worth of General Insurance Corporation is estimated to be around Rs 65,000 crore, and the reinsurer may look to tap the markets early next fiscal year. “No plans have been formalised on our listing,” a senior official at GIC Re, however, said. There are four state-run general insurers: New India Assurance, National Insurance, Oriental Insurance Co and United India Insurance. The government is facing a massive shortfall in its divestment target in the current fiscal year through March. It was hoping to raise Rs 69,500 crore through divestment, including Rs 28,000 crore from strategic sales. However, it has so far raised only Rs 12,700 crore, selling stakes in four companies. “We will fix an achievable target next fiscal and more action will be visible on strategic sales,” said another finance ministry official. Last week, the finance ministry asked central public sector enterprises (CPSEs) to shell out a 30% dividend to the government and those with large cash reserves and sustainable profit to issue bonus shares. 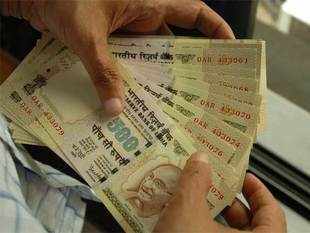 The government has committed itself to fiscal deficit target of 3.9% this financial year. However, in the mid-year review, the finance ministry raised concerns over meeting the target of 3.5% next year, pointing out that a slower-than-anticipated GDP growth would itself raise the deficit target by 0.2% of GDP. In a letter to all CPSEs, the finance ministry noted that there were huge variations in dividend paid by them and there was a need for a clear policy on this matter. The ministry said due account should be taken of cash and free reserves with central public sector enterprises and, accordingly, a special dividend should be paid to the government as a return for its investments.